​Program Description: Kevin has been working on - and thinking about - gifts of real estate since he started in what was then known as "Planned Giving" in 1993. From a Green and Greene house in Pasadena to a Carmel cottage to rental property in San Francisco, he has learned that although each property is unique, a thorough pre-gift analysis will help an organization make the most of these potentially wonderful gifts. This program will detail appropriate due diligence in advance of real estate gifts, what types of gift structures are appropriate for the donor and charity as well as alternatives for closing real estate gifts for small developments shops (or even large ones when an especially challenging gift is offered). 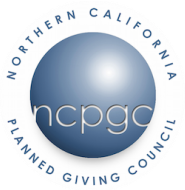 ​​Program Description: This session will cover the latest developments in the field of charitable gift planning, including: CRATs and the 5% probability test; using IRC sec. 501(c)(4) entities; new financial statement standards for nonprofits; Senator Hatch and endowments; shams & scams; Donald Trump's tax plan; donor-advised funds (maybe - maybe not); and more.